Overall, the Australian software market grew by 5.6 per cent year on year (YoY) in 2014, slightly above the growth 5.3 per cent IDC forecast in the first half of 2014 (1H14). Findings claim that the market is set to grow by a five year compound annual growth rate (CAGR) of 5.8 per cent to reach $A10,902 million in 2019. 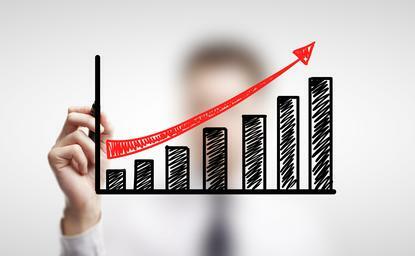 Of note to the New Zealand industry, searching for market trends across the Tasman, the growth engine of the Australian software market was the Enterprise Resource Planning (ERP) software market, which grew by 11.3 per cent YoY in 2014, realising the highest growth rate across all markets in 2014. This represents a huge gain and a major driver for the overall Australian software market, seeing that the ERP market is the third largest segment of the overall software market. Growth within the ERP software market was mainly generated by the Financial Applications, Payroll Accounting and Human Capital Management (HCM) software markets. Those three sub-markets realised double-digit growth in 1H14 and 2H14. Cloud solutions were a major contributor to the growth of the overall Applications market. Furthermore, Big Data and Analytics technologies played a key role in the growth of the Australian Application Development and Deployment market (AD&D) in 2014. In particular the Data Access, Analysis and Delivery software market grew by 9.4 per cent YoY, fuelled by an 18.2 per cent YoY growth of Advanced and Predictive Analytics software. “In particular, self-service data discovery and visualisation tools are high in demand and fuelling growth in the market,” says Melanie Disse, Associate Market Analyst, A/NZ Software & Analytics, IDC. “We've seen a change in IT end-user profile in particular in the analytics space. Also fuelled by Third Platform technologies, the System Infrastructure Software (SIS) market continued to expand, mainly driven by Storage and Security solutions in 2014, which grew 10 per cent YoY and 9 per cent YoY respectively. This market also has the highest 5-year CAGR of 8.1 per cent, reaching $A3,374 million in 2019. The Security software market is set to grow at a 5-year CAGR of 9.1 per cent YoY to reach $A1,067 million and become the largest SIS-submarket in 2019. “The Australian security spending is driven by an increase of threats, targeting any verticals and company size,” adds Lydie Virollet, Associate Market Analyst, A/NZ Software & Security, IDC.